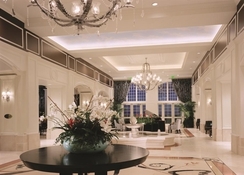 Reunion – a Salamander Golf and Spa Resort in Kissimmee is a luxurious family friendly resort featuring three world-class golf courses designed by Jack Nicklaus, Arnold Palmer and Tom Watson respectively. An expansive 2,300-acre property, this resort basks in opulence and is full of amenities and warm hospitality to cater to your every whim. The fully-air-conditioned suites and villas are furnished with contemporary amenities and gadgets to ensure a comfortable stay. In addition, the hotel has five restaurants and bars, nine pools, a water park, fully equipped fitness centre and six illuminated tennis courts. There is a golf training academy that provides customised training for guests. The hotel also offers a number of facilities for complete relaxation and entertainment that includes a luxury spa, kids’ club, playground, activity trails, and the most fascinating of all, Disney fireworks display from the patio of the rooftop restaurant. Packed with guest facilities and amenities, this is one of the most opulent resorts in the neighbourhood. Reunion Resort is strategically located in close proximity to all Orlando theme parks. 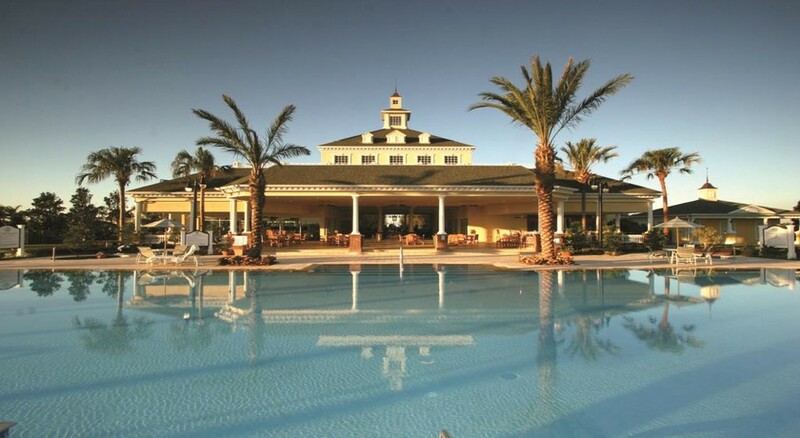 This upmarket golf resort is just 10 km from Walt Disney World’s main entrance. SeaWorld Orlando and Universal Resorts are about 20 km away. 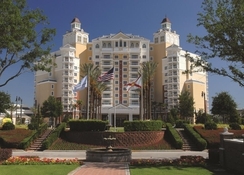 The resort is a 30 minutes’ drive (32 km) from Orlando International Airport. 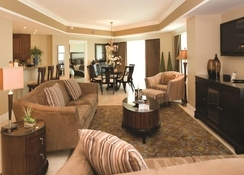 The multi bedroom villas and homes in Reunion Resort offer ultra-luxury in a scenic setting. These come in categories of Deluxe Villas, Superior Villas and the most opulent of all, Reunion Grande, all ranging from 700 to 2350 square feet in size. The villas are equipped with a master Suite with king-size bed and private master bathroom, flat-screen TVs with DVD/CD players, fully equipped kitchens, spacious dining and living room areas, free high-speed Wi-Fi and furnished private balcony or patio. There are ground vacation homes which can house up to 14 people. 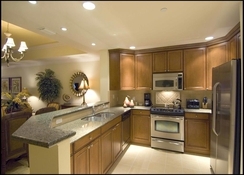 The resort also offers vacation rentals that provide all the comforts and amenities of home. 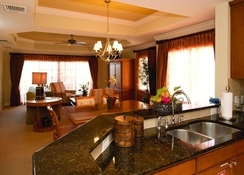 Reunion Resort houses 6 restaurants and bars to indulge the palate of guests. Forté is an Italian Bistro with family-friendly atmosphere. The elegant rooftop steakhouse Eleven offers succulent steaks, cocktails and superb views of the Disney fireworks display. The Clubhouse is perfect for American fare during breakfast, lunch and dinner. The Grande Lobby Sushi Bar offers light dinners and cocktails. There are also two poolside bars: The Cove at Seven Eagles and The Water Park. Guests can dine in their rooms too. Reunion Resort has three signature golf courses designed by legends Jack Nicklaus, Tom Watson and Arnold Palmer, as well as a training academy that offers customised training. There are six tennis courts, 9 pools, Jacuzzi and a water park with lazy river and water slides. The on-site spa offers massages, skin and body treatments, while the fitness centre provides cardio, weight-training, exercise and yoga classes. The Kids’ Crew is a fun club for children aged 4-10 years and organises fun activities throughout the day. Hiking and biking trails run through resort grounds, while sports facilities include outdoor billiards and game room. The resort can also arrange tickets for local theme parks.